Walking the driving range at the demo day prior to the PGA Merchandise Show and then listening to some of the manufacturers’ claims on television and in the magazines, it’s obvious that the emphasis for fairway woods is more distance, created by faster clubhead speed. While the traditionalists at the USGA might not like it, the 2012 models reportedly provide more of a springlike or trampoline effect. The TaylorMade RocketBallz and RocketBall Tour woods feature a deep, narrow sole slot to help the face flex more at impact for more ball speed. Thin, webbed crowns help position the CG low and slightly forward. 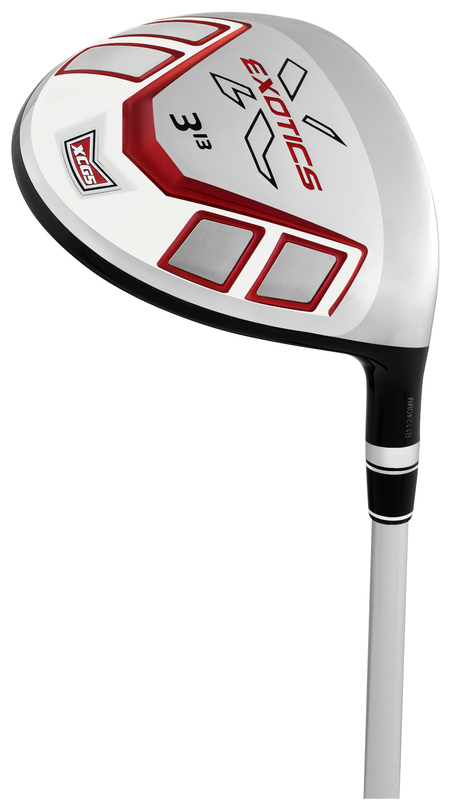 The ultra-thin crown on the TaylorMade R11s saves weight that allows the CG to do the same thing. There are 24 fitting options with the three-way adjustable soleplate and the changeable hosel. Slots in the crown and sole, with a deeper shelf into each, and a thinner face are featured on the Adams Speedline Fast12. The Super XTD features the same slot technology with a titanium body fused to an ultra thin titanium cover with tungsten weights in the sole. Callaway used a larger clubface with a thinner and more flexible face on RAZR X Black models to increase stability and create more ball speed on off-center hits. An adjustable hosel on the RAZR Fit allows face angles from 2.2 degrees open to 1 degree closed. The Tour Edge Exotics XCG5 is the only fairway wood with titanium cupped face and titanium sole and its variable face thickness maximizes rebound off the club. The Titleist 910F model also has a thin crown to move the CG lower and the adjustable hosel offers 16 settings for more ball flight control. Cleveland offers the lightest fairway woods. 40 to 50 grams less than others on the market, with its CG Black. It’s designed for golfers with slower swing speeds. Tungsten inserts in the sole rails allow the CG to be low and deep on the Cobra Baffler T-Rail, helping launch the ball higher. The Bridgestone J40 has a tungsten weight at the heel to optimize CG. It sounds like more golfers will be going for the greens in two on more par5s if these claims prove true.